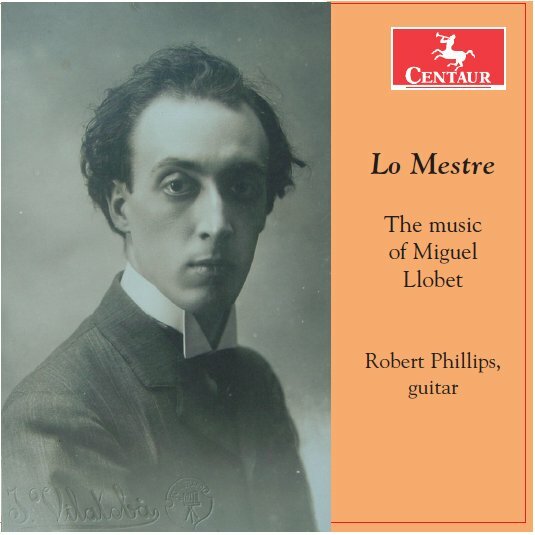 The complete solo guitar music of Miguel Llobet recorded in a vigorous interpretation. This recording contains 29 compositions by the Spanish master. Llobet's compositions are influenced by the piano compositions of Frederic Chopin and the music of the Impressionist composers with whom Llobet frequently associated. Click to hear an excerpt from "Guárdame las Vacas" by Luís de Narvaez. "Great Themes and Variations for Classic Guitar" is a 2 CD collection of the some of the finest themes and variations written for the instrument. 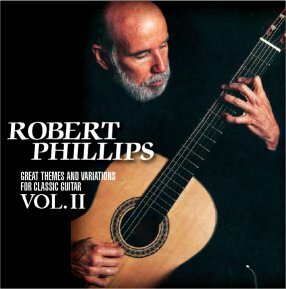 Beginning with the Renaissance "Diferencia" and continuing to the end of the 19th century, this survey is an essential part of any guitar aficionado's CD collection. All but 2 of the compositions (Bach's seminal Chaconne from the D minor violin partita and Handel's Sarabande Variations for Keyboard) and are originally for guitar (modern, or baroque), vihuela, or lute. Contains nearly 150 minutes of music. Click to hear 30 second excerpt from "The Witches' Dance" by Robert Phillips. 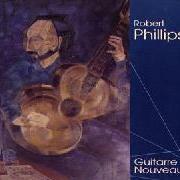 Guitarre Nouveau is Robert Phillips' debut recording. An eclectic mix of stylistic influences makes this a dynamically gripping CD. 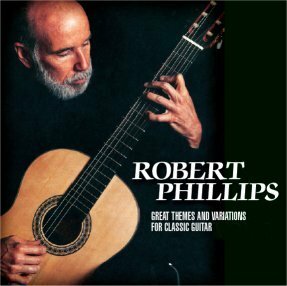 Representative of Phillips' broad repertory tastes, it includes works by Frank Martin, and Philip Glass, arrangements of Thelonius Monk, and Eberhard Weber, as well as Phillips' own minimalist compositions. Help me get this project going by donating now.